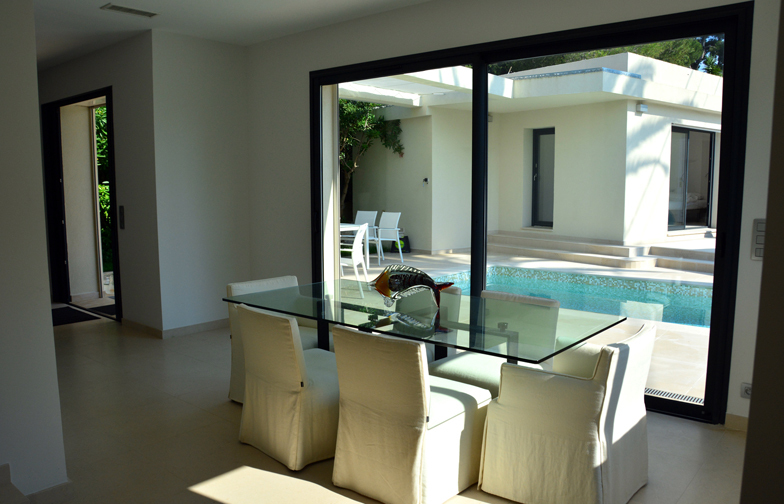 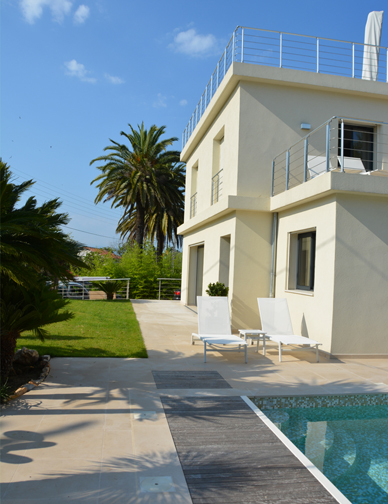 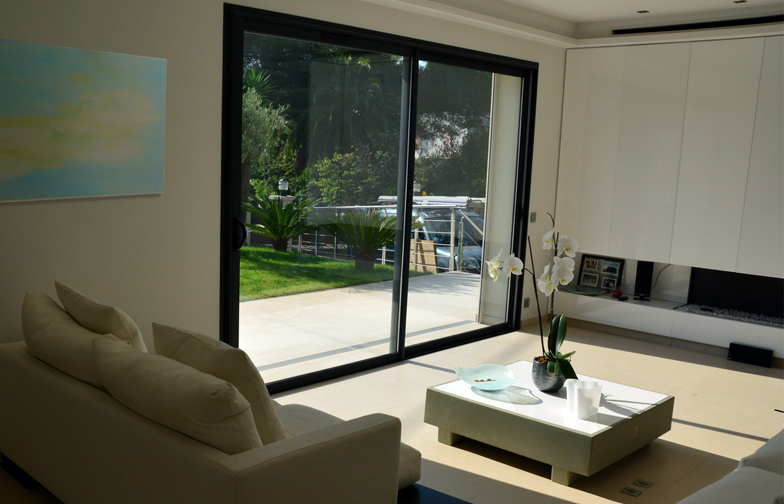 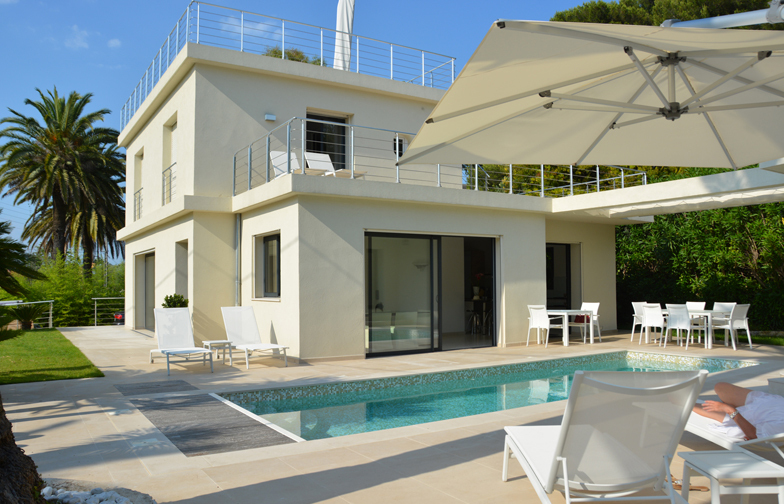 This seaside villa located in a private domain was completely rebuilt. 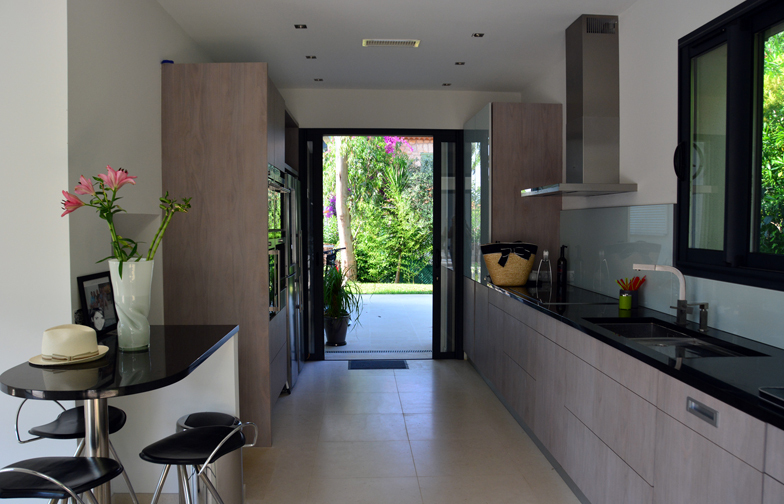 The use of simple and clean lines, the attention to the ergonomy of the different spaces and the improved circulation give to this small villa a wonderful quality of life. 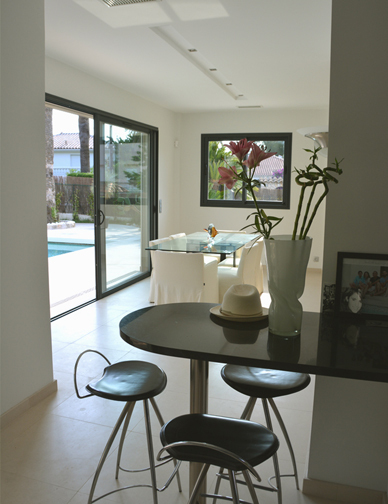 The creation of large openings and the same interior and exterior floors level create a visual continuity with the garden which becomes a natural extension of the interior. 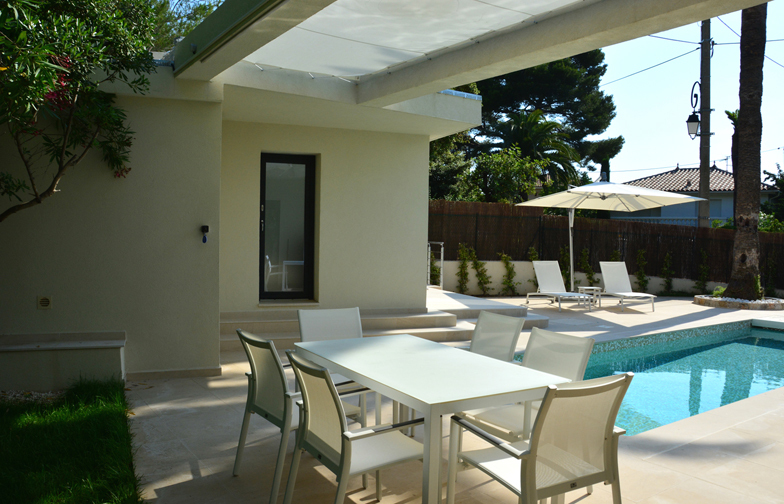 The connection of the two renovated buildings by a structural pergola, the creation of the pool and the development of the terrace give a greater feeling of space.